I want to cry every time I hear Taylor Swift’s song “Fifteen.” The first time I heard this song, I was babysitting an eleven-year-old and her six-year-old sister who only likes to listen to Taylor Swift songs. I took the opportunity as a teaching tool. “Fifteen” really is a very good song, as far as secular songs go. Unfortunately, the only words that my six-year-old friend really picked out and understood were the words to the chorus- “When you’re fifteen and someone tells you he loves you, you’re gonna believe it.” I brought her attention to the other lyrics, and explained them in a child-friendly way. She was surprised. After about a thousand episodes of Disney channel shows about teen love, her idea of the world was that it’s all about dating boys and kissing them, and that such things make life happy and rosy. How sad. How absolutely sad that the world of children’s entertainment pounds the chain-dating lie into young kids’ brains. The truth is, fifteen-year-old couples rarely stay together. It happens, but it’s rare. Relationships built solely on physical attraction are doomed. Giving everything you have will make him like you less, not more. 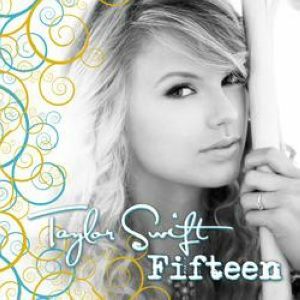 I wish more wildly popular singers would write songs like “Fifteen.” I wish more people would turn off the TV. It takes a lot to undo the damage done by the media. Take every opportunity to undo.